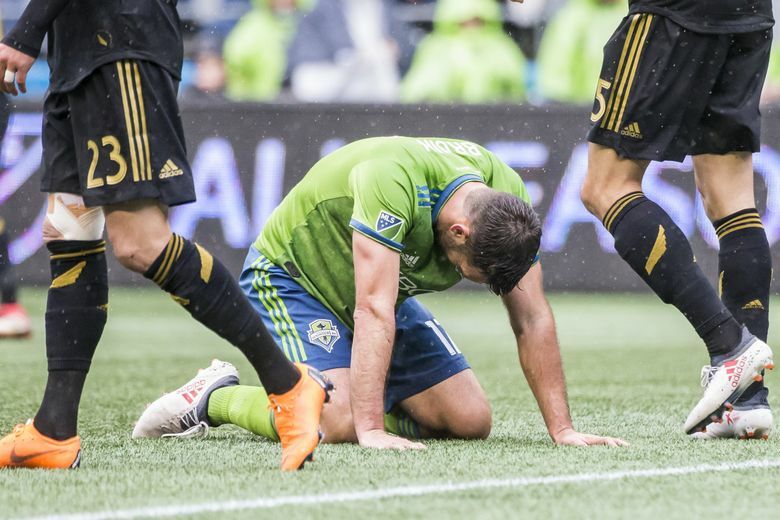 The Sounders, in the middle of a three-game-in-six-day run, lose 1-0 after 19-year-old Diego Rossi scored in the 11th minute. 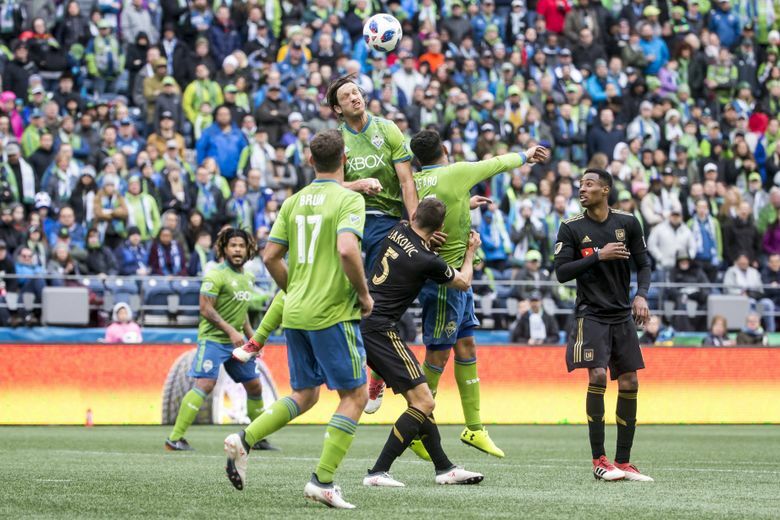 There will be lingering talk about how scheduling played a key role in the Sounders opening the 2018 regular season with only their second home loss in nearly a year. 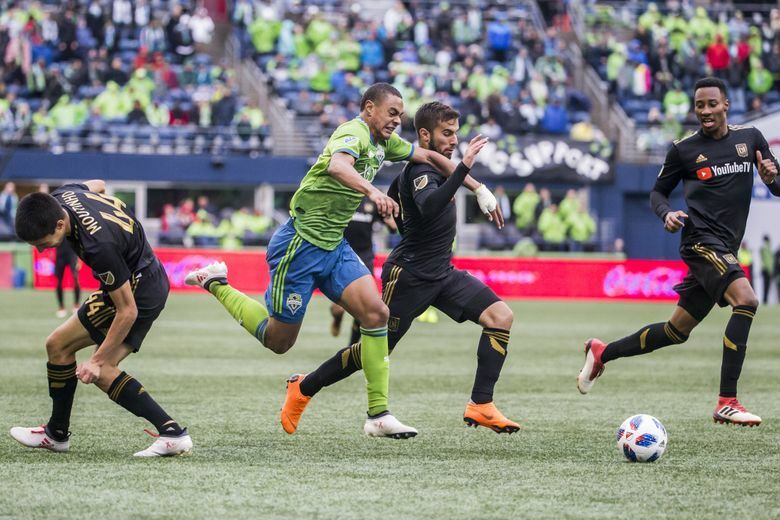 While playing three games in six days because of CONCACAF Champions League scheduling did impact Sunday’s lineup choices, a more pressing concern was the lack of finish by those actually on the field. 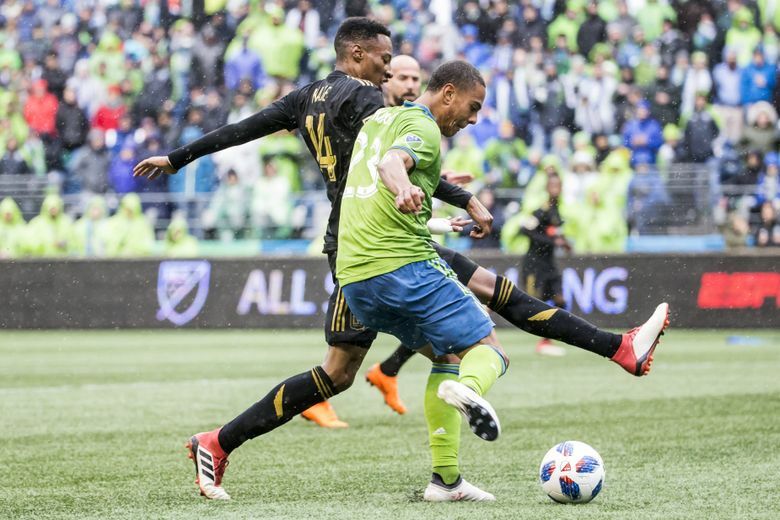 Putting the ball in the net was a concern for the Sounders before their 1-0 defeat to expansion side Los Angeles FC, and it remained one after a match in which the home team enjoyed the far greater number of chances. 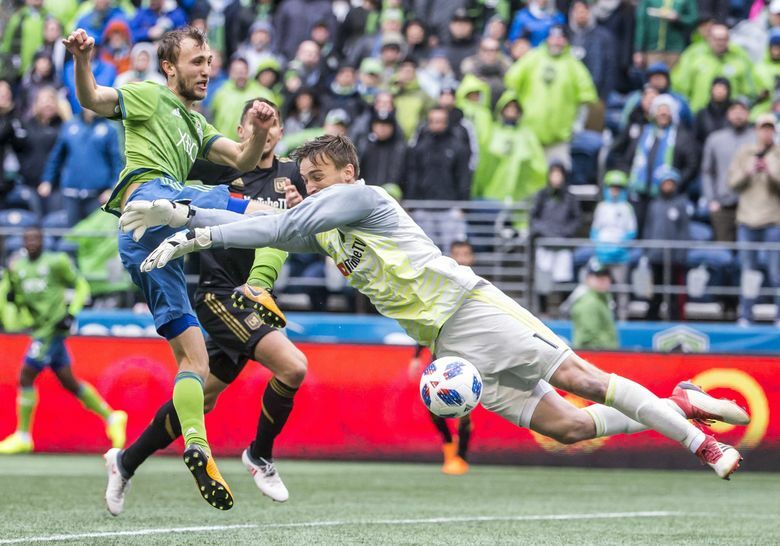 CONCACAF Champions League: Guadalajara @ Sounders, 7 p.m.
Roldan had one of a plethora of chances in the second half, heading a ball from point-blank range directly into the arms of former Sounders goalkeeper Tyler Miller. 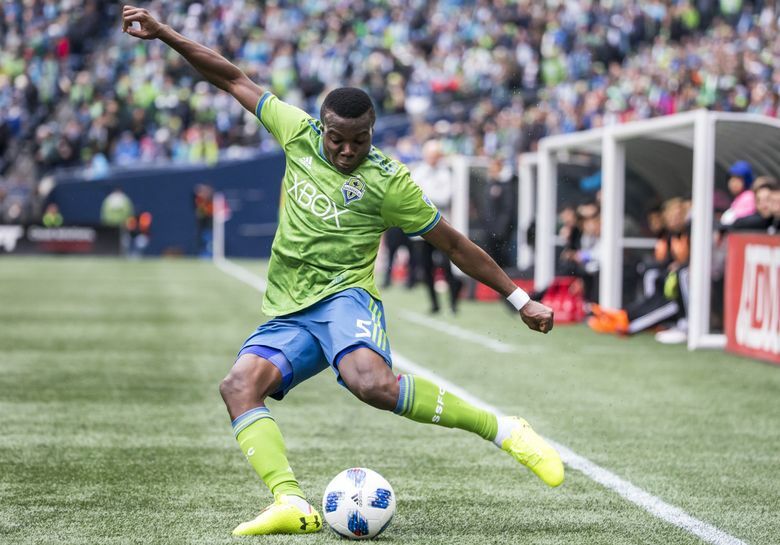 Seconds earlier, a shot by onetime University of Washington standout Handwalla Bwana was redirected off the cross bar before rebounding straight to an oncoming Roldan. 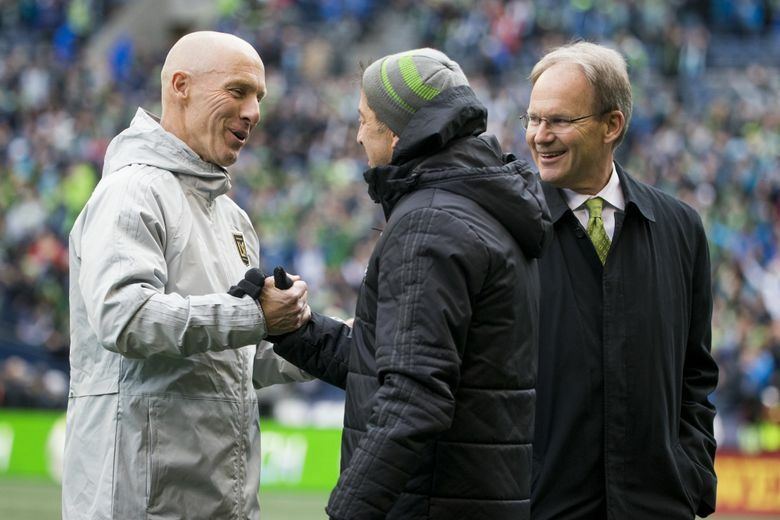 But LAFC deserved some credit for taking the crowd of 40,070 at CenturyLink Field out of the match early on. 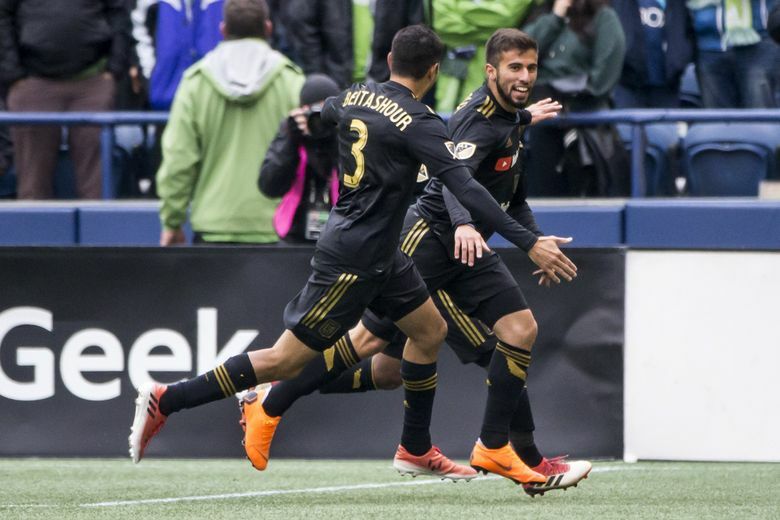 The visitors blitzed the Sounders with an unrelenting press the opening 20 minutes, ringing a shot off the post, before Mexican national team standout Carlos Vela teamed with Uruguayan teenager Diego Rossi for the first goal in franchise history. 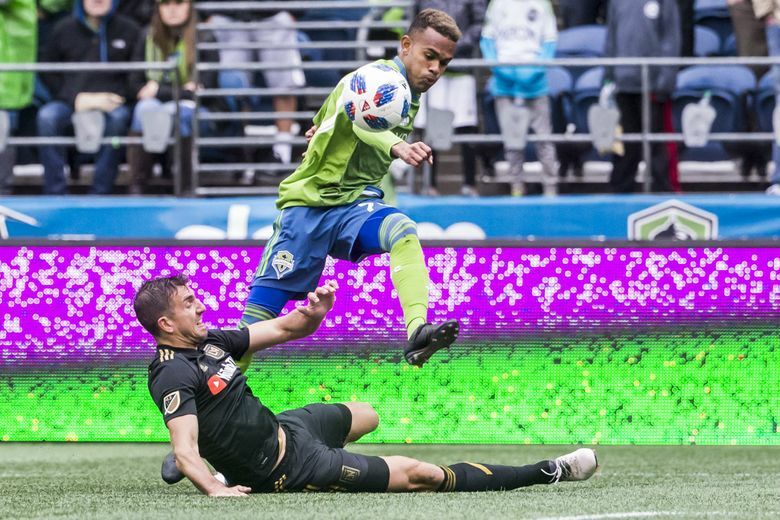 Vela corralled a ball in Sounders territory and quickly fed Rossi, who, at 19, is the second-youngest designated player in Major League Soccer history. 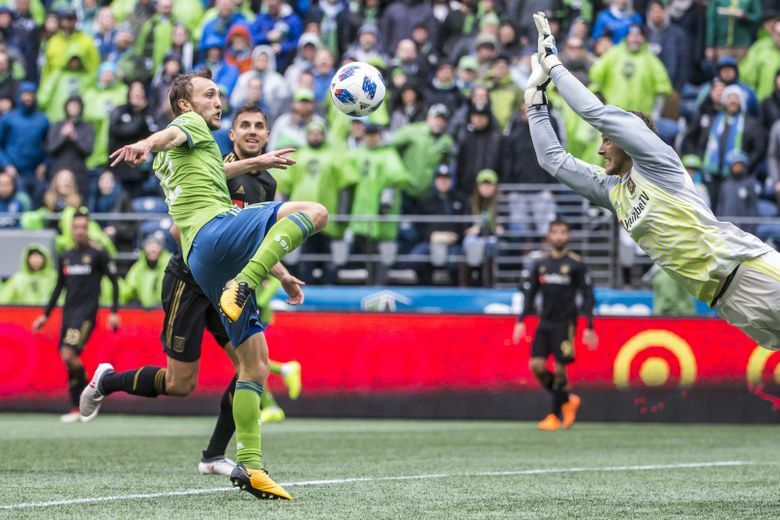 Rossi unloaded a blast from just outside the 18-yard box that beat a diving Stefan Frei top shelf to his left in just the 11th minute. 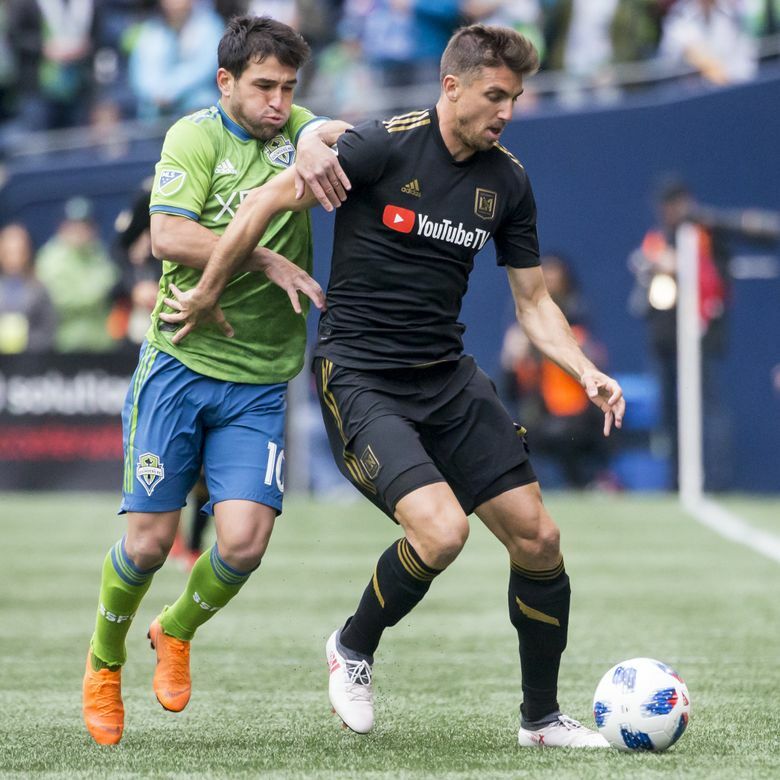 The goal would be the only shot directed on target by LAFC the entire match compared to seven such chances by the Sounders. 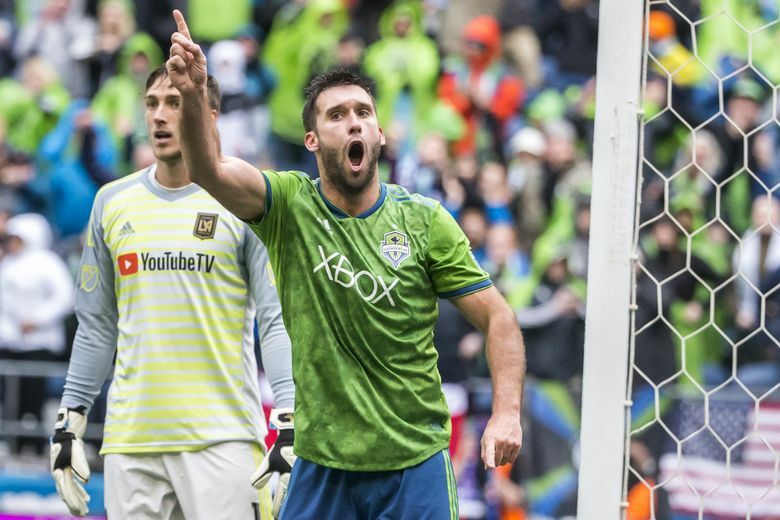 The Sounders would shake off the rust and go on to outshoot the visitors 22-5. 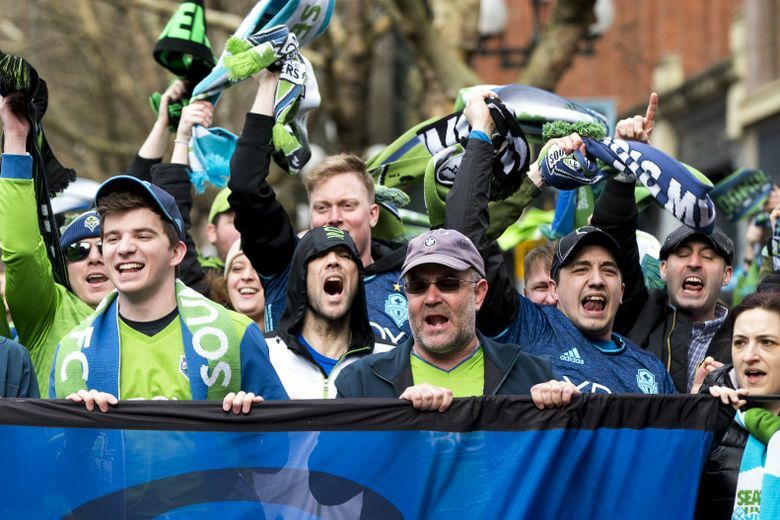 But they suffered their first home defeat since being beaten 1-0 by Toronto FC last May. 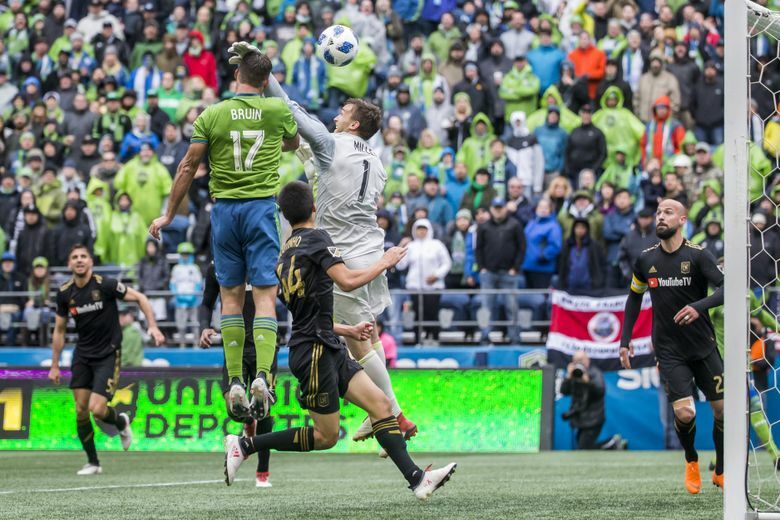 The Sounders opted to sit a healthy Clint Dempsey and Chad Marshall and go with a lineup that included Jordy Delem and Tony Alfaro as defenders alongside Roman Torres, who was used for only a half as a safeguard against his spotty hamstring. 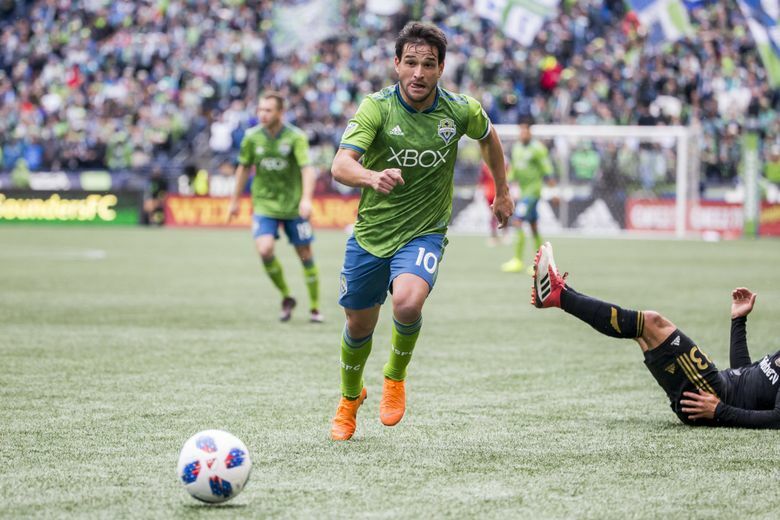 Sounders coach Brian Schmetzer needs players ready for a quarterfinal Champions League matchup Wednesday against Mexican side Chivas and wasn’t about to risk burning out key veterans this early on. 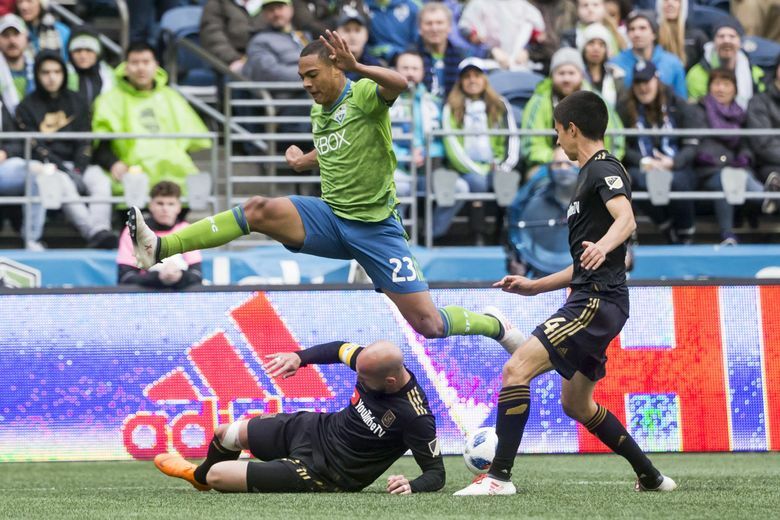 The team’s attack included Henry Wingo and Harry Shipp on the wings and didn’t do much of anything until the 33rd minute when Shipp nearly converted a Nicolas Lodeiro pass into the far corner of the net. But defender Laurent Ciman made a sliding save to knock the ball from harm’s way. 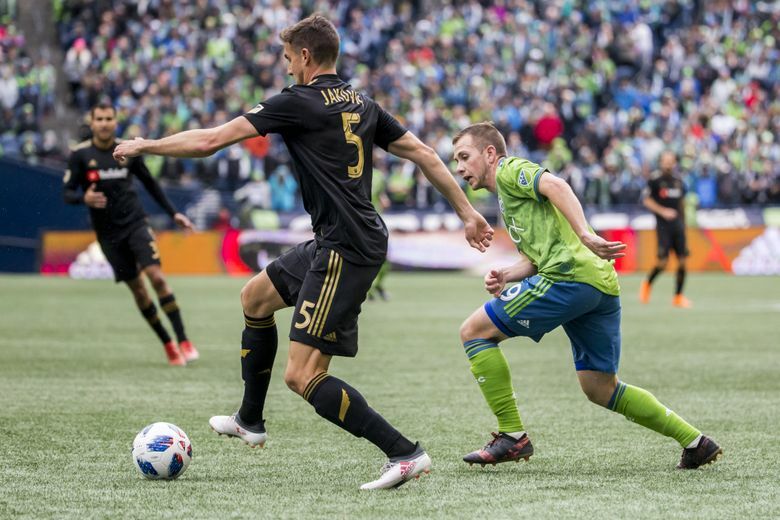 Schmetzer pulled Torres at halftime, pushed Svensson to center back and inserted Magnus Wolff Eikrem in the attacking midfield. 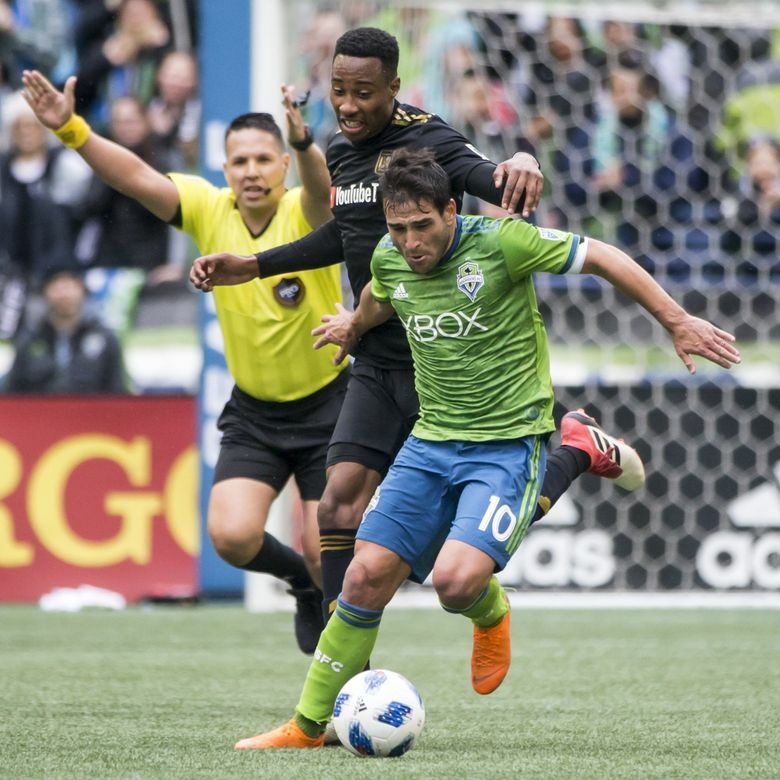 Lodeiro was dropped back into a defensive midfielder’s role alongside Roldan, but the moves gave the Sounders an improved offensive look in all areas. 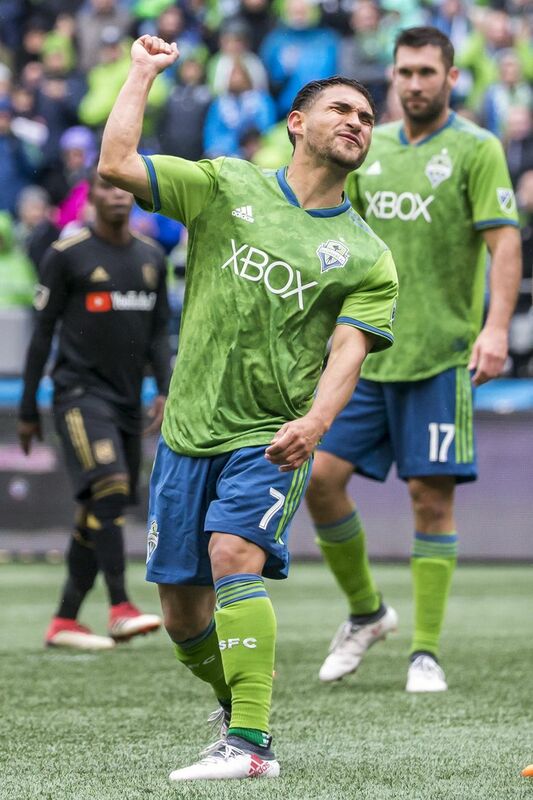 Then, in the 63rd minute, Bwana was inserted for Shipp in his MLS debut and he nearly tied things a minute later with the deflected rocket off the cross bar. “I was supposed to come in and change the game and I tried to,’’ Bwana said. 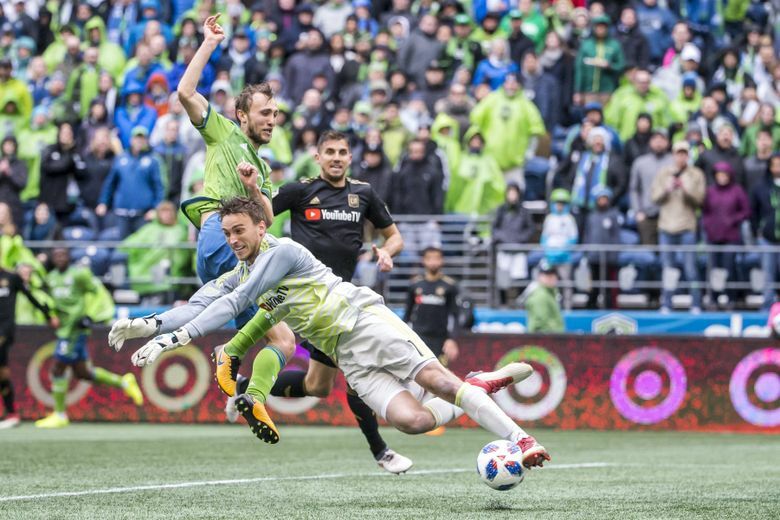 The Sounders at one point were awarded four successive corner kicks within a minute’s span but couldn’t convert. 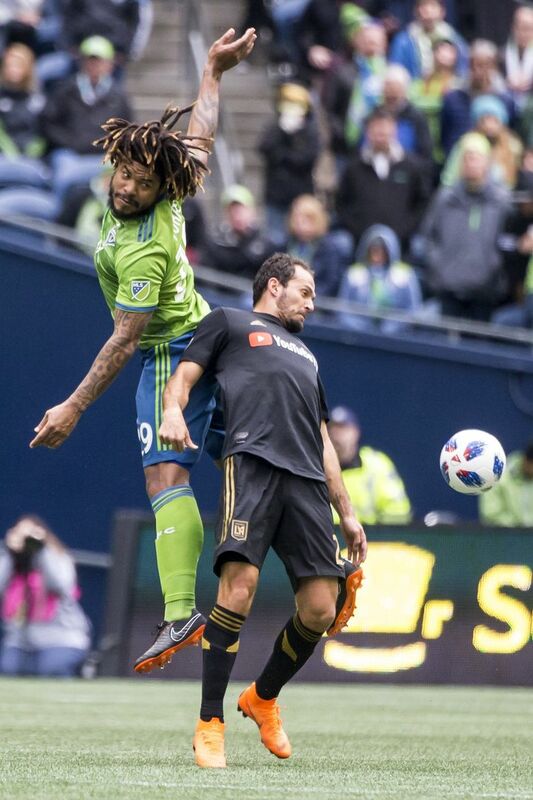 They sent several additional crosses into the box, but ensuing shots and headers either missed their target or landed in Miller’s hands. 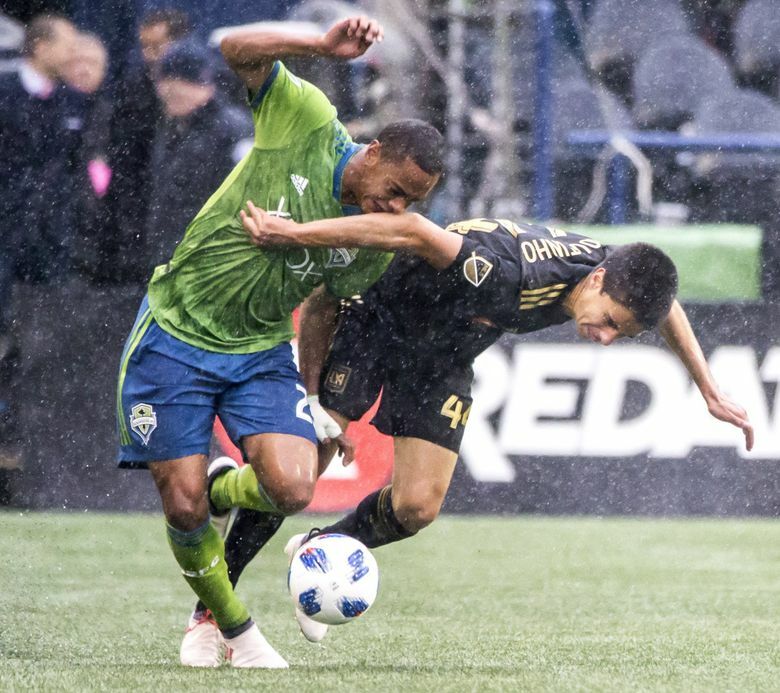 The snakebit attack was hampered even more when Alfaro was ejected in the 83rd minute for his second yellow card, leaving his team short-handed the rest of the way. 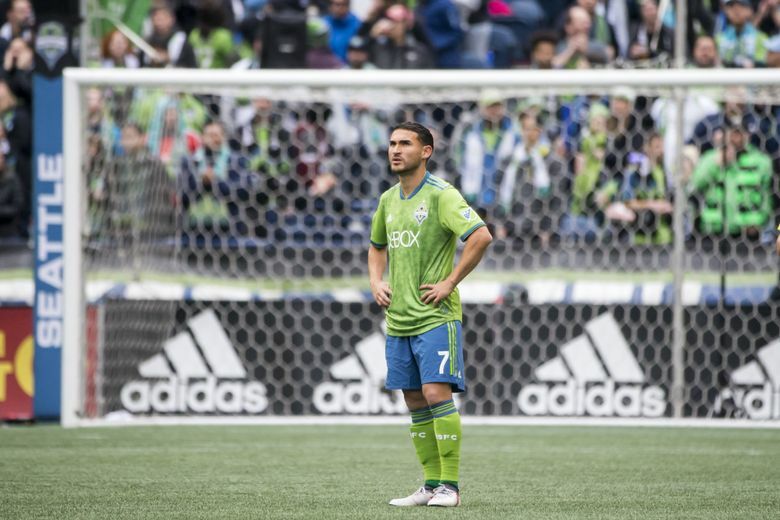 Finishing chances more consistently was an offseason goal the Sounders hoped to address. 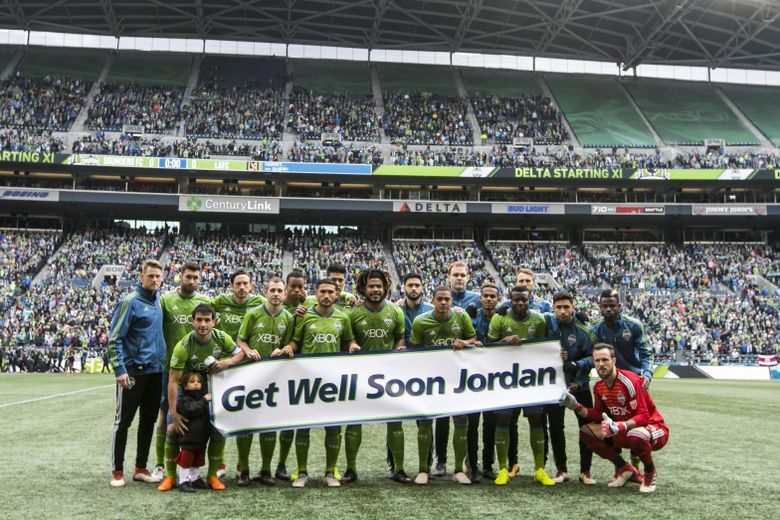 That plan took a hit when Jordan Morris was lost for the season with a torn ACL. For now, the search for consistent scoring continues.